Aquamermaid offers a magical mermaid party designed for kids who love to swim and have always dreamed of being a little mermaid or merman. Party guests have a 1 hour private class with a professional mermaid swim instructor. 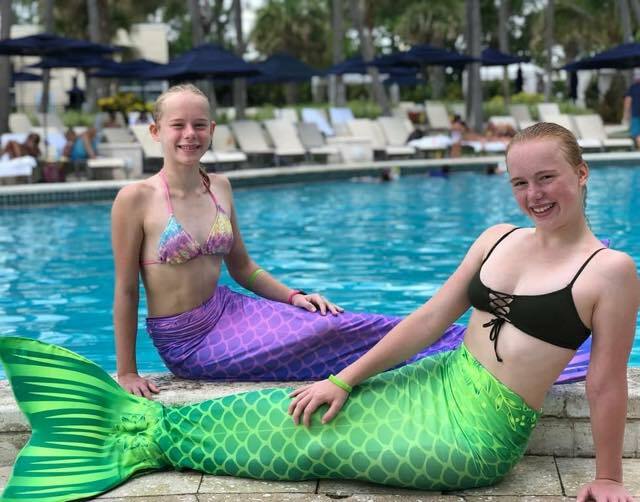 They will learn to swim in a real mermaid tail, play interactive mermaid-themed games and have plenty of time for a mermaid photo shoot. You can host your party at our pool, or we can come to your pool. This party is a fairytale dream come true! Price: A mermaid birthday party is $300 + taxes up to 7 mermaid guests (ages 7+) for 1 hour private party with a qualified mermaid instructor. Tail rental is included. $30 per additional guest. Party room, mermaid tail purchase, or travelling to your pool are extra. Get a glimpse of what it's like to live underwater with an oceanic aquarium party. Sharks, sea turtles, and pufferfish are just a few creatures inhabiting the tanks at Shark Reef Aquarium that the kids will get to observe and marvel at. A Touchpool with stingrays and horseshoe crabs is also available for kids who like to be more hands-on, but no swimming allowed! The cost of the party also includes a private room and decorations including aquarium themed plates, cups, napkins, flatware, decorations, and invitations, so that's some major party necessities parents can check off their list right off the bat. This theme park is a great idea for large parties because it can accommodate up to 5,000 people! 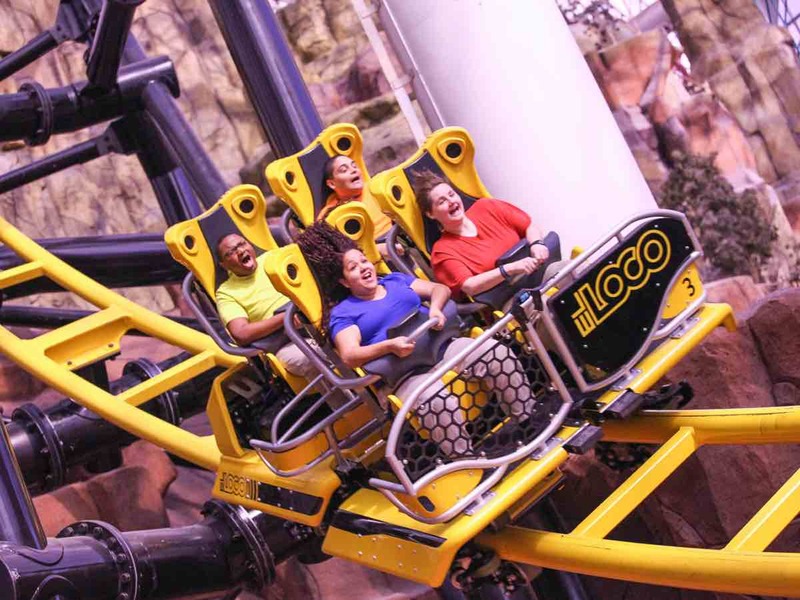 However, if you have a small or regular sized party, Adventuredome will work just as well. Experience five acres of roller coasters, spinning rides, and fun attractions. Party packages include all day park passes, party supplies, drinks, and a special shirt for the birthday guest. Everyone will be sure to have a thrilling experience at this awesome celebration. Aquatic birthday party anyone? Then Wet'n'Wild is it! Included for the price of $36.99 per person is a dedicated birthday host so you can relax and enjoy the party, festive balloons, delicious food and non-stop actions. Birthday party packages are ideal for children under 12 years of age. A minimum of 12 guests per party is required and typically requires reservation and payment 14 days prior to your event. 7. Birthday child gets a souvenir beach ball and a free 'bounce back' ticket. If you enjoy your child's art projects and they like creating with their friends, but you don't want the stress of the potential mess in your own home, take them to this handy painting studio! Get your young ones to put their imagination and creative energy to good use with an event at Paint and Party. All painters get to choose from a wide catalog of scenes and images that they would like to paint or an instructor can help them create their own idea. All paint supplies are provided so you only need to bring the party snacks, beverages, and decorations if you like. It's a celebration in motion at this party locale! Choose any theme you and your child can think of and bring it to Las Vegas School of Dance and Music, where they can provide a dance instructor to get all the party guests moving gracefully and having fun. Choose a style of dance for the kids to learn or just use the space for fun party games. There are two party packages available so you can create exactly the party you imagined. Jump on over to Sky Zone for the highest flying party you can imagine. Let your kids and their friends literally bounce off the walls and into giant pits of foam and let them be amazed at the view from up high that they could never achieve before. Sky Zone is the perfect party location for all age groups and after the kids are all tuckered out from jumping, let them have their fill of the obligatory party pizza and birthday cake in a private room. Honestly, there's no way anyone could not have fun at a party in a place with endless lengths of trampoline. 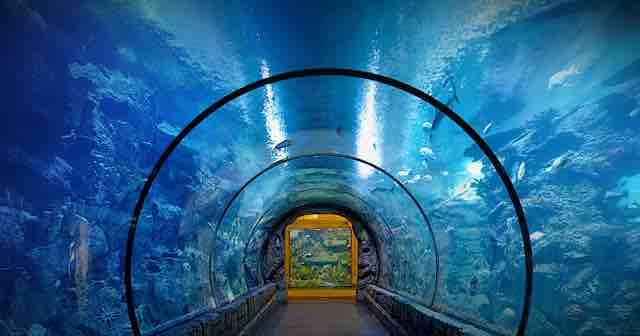 Don't let the time of year or potential inclement weather ruin your child's pool party, have it indoors at this venue! If your child has a winter birthday and has always been envious of their summer-born friends having pool parties, this is the perfect option for you! Water Wings Swim Club has party packages available with a free swim session with pool toys provided so the children can splash around and create their own pool games. Lifeguards are also included for necessary safety precautions. You can customize your party package according to the supplies you need and can even have them coordinate with your party theme. There really is an endless array of possibilities for fun at Kids Quest. Your child can choose from a variety of activities for their party to focus on or try a mixture of them all. An indoor play maze, karaoke, Wii arena, arts and crafts, and video games are just a few options to choose from at this extensive venue. The birthday child will enjoy special recognition in a royal birthday chair while the party host assists the children in their choice of activity. There really is something for every child to enjoy, no matter their interests. Adults can even choose to stay and have fun with the kids at the party or go off on their own to enjoy the adult activities provided in the casino. The YMCA is a great community facility for lots of activities, including children's birthday parties. Simply pick a theme and they'll take care of the rest. Possible ideas include, Glamour Girls, Magic Party, Rock Wall Adventure Party, Science Gone Wild, Soccer Party, Indoor & Outdoor Pool Parties, or come up with your own. The party host provided will lead the kids through the events while you sit back and enjoy watching your children create cherished memories. Sporty, active kids with a flair for adventure will love rock climbing the walls at the Refuge Climbing and Fitness. Instructors lead the climbing at parties to keep everyone safe and teach the kids the best techniques to get as high up the wall as they can. The party package includes two hours of climbing and games followed by time in the private party room for traditional celebrations such as birthday cake and presents. King Putt puts a whole new spin on mini golfing throughout its indoor course. Complete with 18 holes, your child and their friends can golf their way through this course with glowing blacklights features and Egyptian themed obstacles. As for their party packages, you can also add other events to entertain guests, including unleashing them into the facility's arcade and even an optional magician's show. With all these possibilities, you can be sure to provide a novel and fun experience for every child invited. Popular chain restaurant Chuck E. Cheese's is a very desirable location among children, and many enjoy celebrating their birthdays there. They have generous party packages with special recognition for the birthday guest of honor, including superhero mask and cape and a shout out in the birthday show. Upgraded packages can provide even more fun for the birthday child, with options such as collectible merchandise and extra gaming tokens and prize tickets. Each child at the party is given tokens to spend freely in the arcade and then choose prizes of their choice with their ticket winnings. A party at Discovery Children's Museum unlocks full access for kids to try out all the exhibits this facility has to offer. There are nine different areas for children to explore that teach ideas in science, history, engineering, art, and more. This museum makes learning fun and also provides a private room for dedicated party time, including birthday cake and a birthday experience facilitated activity. You can even have them create a video tribute to your birthday star that can play throughout the party with your choice of music. Discovery Kids provides a learning experience the young guests will remember long after the party is over. Rent out this whole play facility for your child's party for endless fun! The child's Play space includes a huge play set with slides and forts for kids to explore, a computer room with educational games, a mini basketball court, and an interactive projection wall. Party guests can run wild engaging in any of these activities they choose while the parents can relax in the adult room with comfortable seating, free wifi, and coffee. You can even choose additional entertainment for the party such as magicians, balloon artists, and even a photographer to document candid shots of your child enjoying this fun event just for them. Bouncing around in Jumper's Jungle giant inflatables is fun for all ages, but it's more than just bouncing. Kids can race through the obstacle courses, speed down the mega slides, slam dunk into the basketball hoops, and create an unlimited amount of their own adventures. Booking a party at this venue is easy, especially since they take care of most of the party details for you, all you need to do is bring the birthday cake and let the party host guide the day's fun. Who says playing indoors can't be fun? Kids Planet features an extensive playground area including slides and swings, jump house, and the fan-favorite ball pit. All kids will enjoy roaming around the facility and playing on structures they can't get at home. The party hosts provided are experts at planning exciting activities and keeping all the kids involved and having fun. They even provide essential party supplies like paper products, decorations, food, and best of all, they do the set up and cleanup for you! 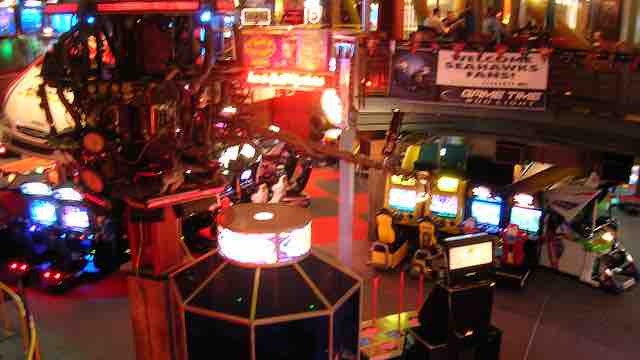 GameWorks offers a unique dining experience with bowling lanes and a video game arcade. In their birthday party packages, your child can choose if they would like to have a bowling party, a gaming party, or a mixture of both. All packages include the cost of food and decorations, but you can customize your selection with how long you'd like the kids to spend playing. This venue combines the excitement of bowling, which kids may not get to participate in too often, and the crowd pleasing option of video games. No matter what option you choose for your child's party, they will be sure to have a great time. Gymnastics is a great activity for little ones with a lot of energy and a sense of adventure. Birthday parties include instructor supervised games on the gymnast equipment and obstacle courses. The kids will love running around and being active and you can let the gymnastics instructor do all the work while you relax and watch the fun on the children's faces. Having a party at Brown's Gymnastics could even inspire your child or their friends to pick up a new hobby! This location is a mini amusement park with many attractions and endless opportunities for fun. Las Vegas Mini Gran Prix is home to three thrilling rides, a giant slide, a go kart track, and arcade. Your child and their friends can experience all of these in one day when you plan a birthday party here. You choose the party package with the exact options you want and they get to experience all the entertainment. The park is just the right size for all the kids to roam around on their own and enjoy their time with the birthday guest of honor. This venue is the best place to create a completely customized party idea that will be truly unique. Kidville works with you to plan your child's party from choosing the theme, to the decorations, to the activities. Possible themes include ballerinas, superheroes, safari, science, dinosaurs, and even a slumber party. The facility will take care of the party games to go along with the theme and then you can even pick fun extras for more entertainment. Face painters, a cotton candy machine, tie dying, and a jumpy castle are just a few ideas that will make your child's party all the more exciting. 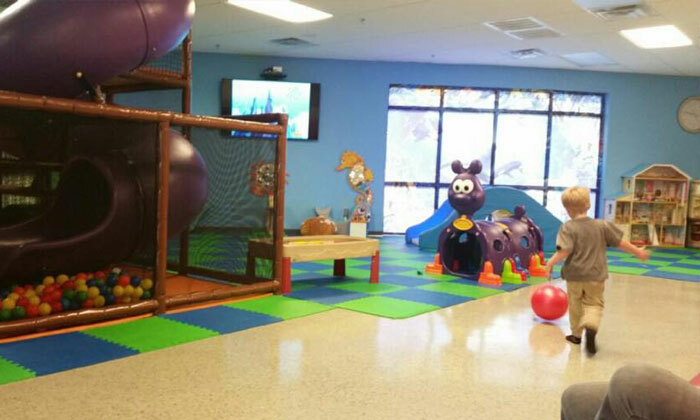 Fun Lane Indoor Play is an indoor playground owned and operated by a Henderson family. This 3,300 square-foot venue is a clean, safe, and climate-controlled place where families and friends can kick-off their shoes, play, and socialize. Fun Lane caters to toddler age through 12 years old, as well as their parents/guardians. At Fun Lane, bigger kids will be drawn to the giant observation tree and colorful play area. The designated toddler zone is a perfect spot for smaller kids to play, crawl, and learn for tike-sized fun with age-friendly toys and soft matting. A separate eating area with tables and a private room is available for children's birthday parties and other group events. 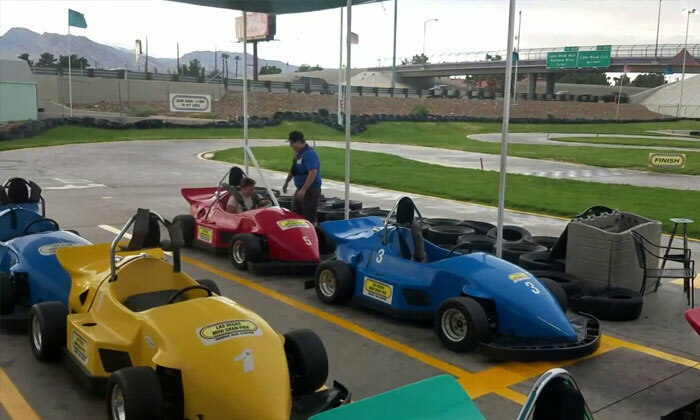 If you know a child with a need for speed and loves the Fast and Furious franchise, they'll love go kart racing at this venue. The kids race along a track with special seating alongside for spectators to cheer on their favorites. After the race and the subsequent winner's celebration lap, the party can move to a private room for pizza and birthday cake (cup cake party anyone?. There is even an arcade available to give the partygoers even more options for fun. With customizable party packages, Pole Position Raceway can provide everything you need for a great event the kids will be talking about for days, maybe even weeks, depending on that child's attention span. Fidgets Indoor Playground is a perfect place for your kids birthday party, baby shower, sports team party, family reunion, and more. Fidgets offers a party room and an indoor playground. Different party options provide you with a variety of choices, so whether you want to stay on a budget or have everything taken care of by Fidgets, a package is likely available for you. Birthday parties are cool at Las Vegas Ice Center with party packages ranging from $170 to $680 depending on the number of skaters who'll be at your child's celebration. The "Platinum Deluxe Package" costs $680 and includes 50 Skaters, 6 Large cheese or pepperoni pizza, 1 Full Tray of Ziti, 1 Full Tray of House Salad, 80 Garlic Knots, 6 Pitchers of Soda, 2 Balloon Towers, 2 Hours in 2 Adjoining Private Party Rooms and a free gift for the birthday child. Other less expense packages are available. Rock climbing is the ultimate party activity! Origin can accommodate guests of all ages and abilities and birthdays parties are a high-elevation occasion which can be truly spectacular. You're childen and guests will get two hours of unlimited access to the entire facility, all climbing equipment (including climbing shoes, harnesses and chalk), and professional belay staff to manage the ropes and assist climbers. If you're celebrating a birthday during the holiday season there are few better places for a party than Christmas Town at Cowabunga Bay! At this thrilling holiday attraction--the entire park will be filled with holiday decorations, spectacular lights and displays, family winter activities and delicious holiday foods and drinks. Top activities include Nick's Lighting Spectacular with over 3 million twinkling lights, Under the Mistletoe Skating Rink and a Polar Express train ride. Contact info@lasvegaschristmastown.com for party details.